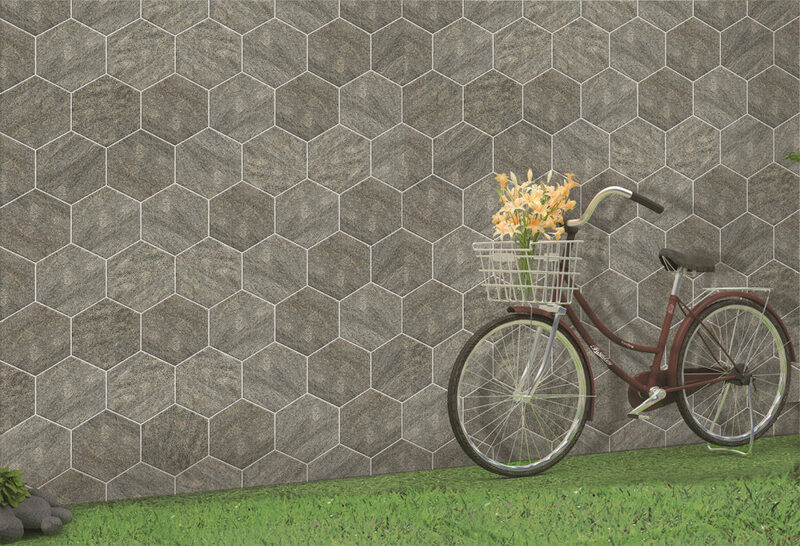 H&R JOHNSON presents a beautiful collection of hexagonal tiles which are robust, attractive and fully vitrified. With high flexural and breaking strength, these tiles are ideal for covering walls and floors. They are available in earthen shades, stone, wood, and other options. The hexagonal tiles create stunning surfaces with exceptional designs and unique colour combinations. Offered in 30x30cm size, the tiles require a 4-6 mm gap in laying. Johnson Endura’s hexagonal tiles feature high scratch resistance, which makes them appropriate for commercial flooring as well as high footfall floor areas. The price ranges from Rs 715 to Rs 1,160 per box, depending upon the location.